Food isn’t just fuel to give your body energy, or something you shovel in your face when you’re bored -- it can also help you accomplish a bunch of things and dominate life. 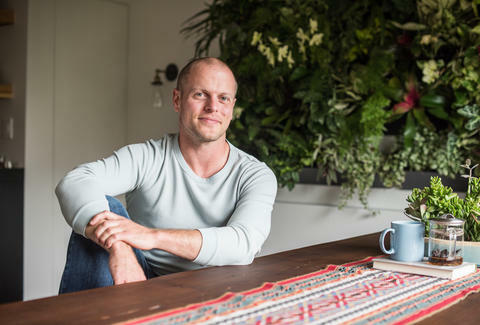 There is one guy who knows this better than pretty much anyone: Tim Ferriss. He is an entrepreneur, author, and a podcasting legend (with over 100 million downloads) who has spent thousands of hours speaking to the world’s biggest achievers. Ferriss admits that the phrase "goat whey" isn't whetting anyone's appetites. "Goat whey protein, which sounds horrifically gross, is actually very innocuous," he says. "It was recommended to me by Charles Poliquin, a famed strength coach, who's worked with Olympic medalists in 20+ sports." Ferris is a fan of goat whey over all other types of whey for one big reason. "Whey has some incredible properties, whether it's for body composition or immune function," he explained. "But people's trouble with lactose has been a consistent problem with whey. You can dodge that in large part by trying a goat whey protein instead of a normal dairy whey protein." Ferriss refers to BJ Miller as "an expert in death," in the book because he's an advisor to the Zen Hospice Project in San Francisco and has "guided ~1,000 deaths." You might be wondering what the heck this has to do with cookies. Miller says that for his patients who are about to die, it's not always helpful to talk about the meaning of life. Baking cookies with them, however? "Just the basic joy of smelling a cookie. You're rewarded for being alive and in the moment. Smelling a cookie is not on behalf of some future state. It's great in the moment, by itself, on behalf of nothing," he says in the book. No matter where we are in our lives, certainly anyone can appreciate an experience like that. 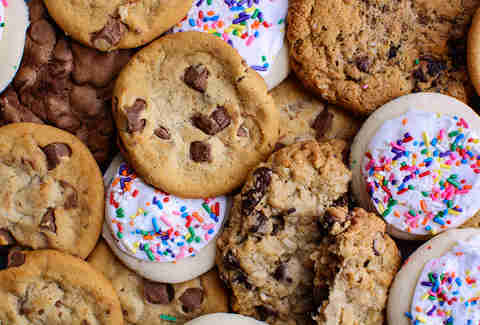 And most importantly, you get to eat cookies when you're done! Ferriss also interviewed Seth Godin, a best-selling author of 15+ books and uber-popular blogger, for the Tools of Titans. In addition to his intense book writing schedule, Godin has also somehow carved out the time to start two companies as well. Because he is so busy, Godin reveals in the book that he eats the same thing for breakfast every day, because it's "one more decision I don't [have to] make." His morning meal of choice? Frozen bananas, hemp powder, almond milk, dried plum, and walnuts thrown in a blender. "There's a simple cocktail taught to me by the late Seth Roberts, who was a professor emeritus at Berkeley," Ferris says. "It's worked for thousands of my fans, and works for about eight out of every ten people." The recipe is crazy simple: 2 tbsp of apple cider vinegar (he liked Bragg's) and 1tbsp of raw honey mixed into hot water. Ferriss says it can be effective even if you have a serious sleep disorder like insomnia. Ferriss talks about how he became super productive when he pretty much eliminated caffeine from his life. Keep in mind, he doesn't think it's the root of all evil -- he believes it's fine in moderation. But if you have too much caffeine (more than 400mgs per day, or about four cups of coffee), it can "adversely affect thyroid hormone output, which can contribute to long-term chronic fatigue, and can inhibit fat loss." Ferriss also recommends buying exogenous ketones (a lab-made fuel source for your body), for energy. "You can mix up a cocktail that tastes like lemonade," he says. "The brain and heart, among others, love ketones as an alternate fuel source. Products like KetoCaNa or KetoForce will also give you additional energy without the dependence on caffeine." Dependent on caffeine? Us? Nah. Not all of the habits involve actually eating or drinking anything. Ferriss says that Dr. Dominic "Dom" D'Agostino, an associate professor at the University of South Florida’s college of medicine, recommends doing a "purge fast" one to three times per year. The purpose of this is to potentially "purge any precancerous cells that may be living in your body." Dr. D'Agostino says he "aims for a 3-day fast once per month and a 5- to 7-day fast once per quarter" which involves a complex routine of consuming the aforementioned ketones, brisk walking, and sleeping a lot. But he is obviously an expert at this sort of thing, so you know, maybe don’t do this one without talking to your doctor first. 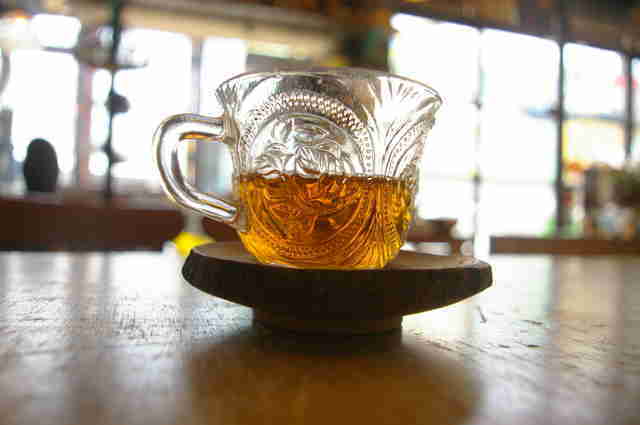 Lee Breslouer is a senior writer for Thrillist, and is going to try Titanium Tea. Follow him to tasty teas: @LeeBreslouer.